Software is designed for reporting and checking the current page rank in the search engine Google for the relevant keywords. 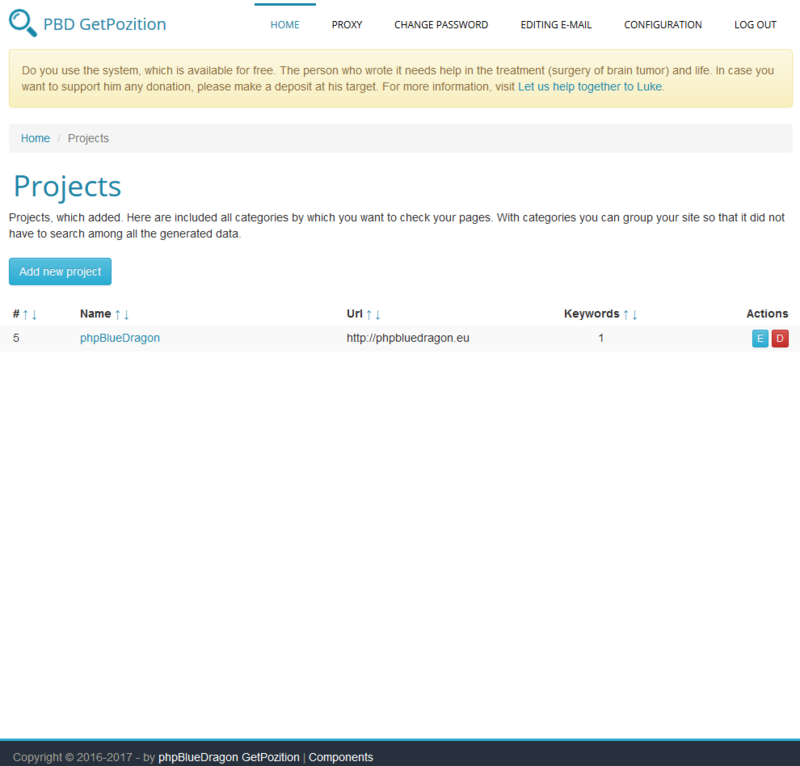 Just add the address of your page, enter keywords, and add the appropriate tasks to CRON. The program will automatically search through what you will see at which position in the search results is your site. The system is particularly useful when you order the positioning of our website. You can analyze the results to-date performance of the company’s work, which commissioned the improving website visibility in the search engine. No need for interference in the system, makes everyone will be able to handle it. The whole of the program is executed automatically on the server. With the addition of Proxy you will avoid ban the IP address of the server, which can cause a lot of trouble both for us and the company in which we have bought account for the hosting. You can not just add one word to check, but also enter the entire phrase. It will be suitably processed by the system. You do not need effort to make anyone’s day clicked on the link indicated. All elements are implemented by software on the server CRON. You can define as many projects as you want, the program does not lock as to their quantity. As a result, the results will be carried out essentially without restriction. The absence of any limit to the number of words and phrases in which the parties are to be searched, gives enormous possibilities to adjust the results. By defining the right amount of proxy servers, your server will not find on the list of blocked IP addresses Google. Analysis of the results is to look first implemented for a period of 6 months. So you can go back in time and analyze the results for you.